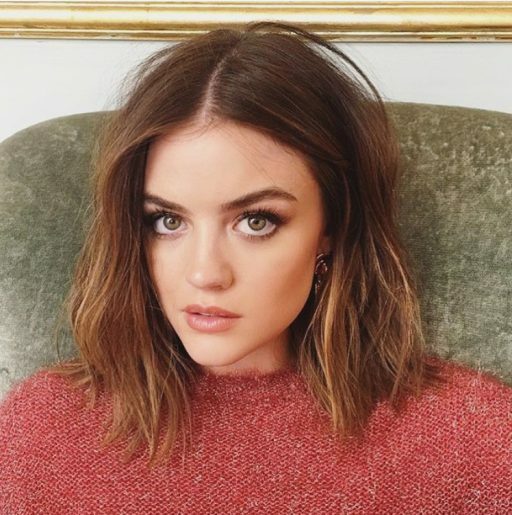 Our first look works on a variety of hair types, but you’ll need a little length to play with– at least a lob. 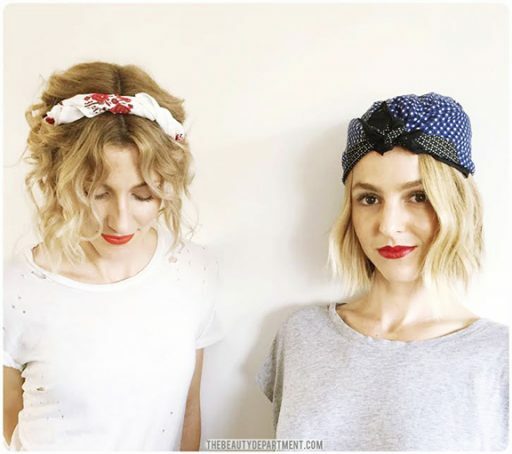 THIS is a great way to encourage natural waves and curls for texture! 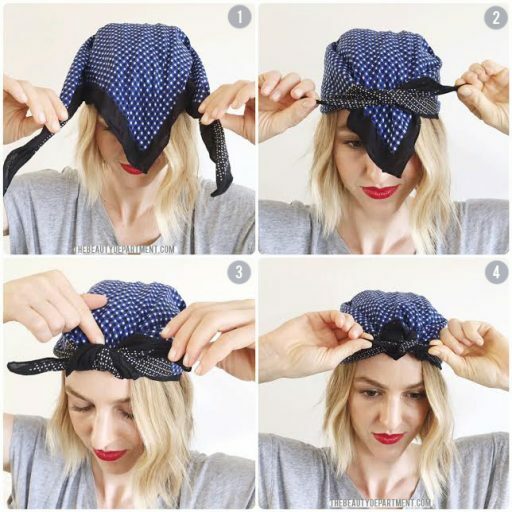 We begin by folding THIS SCARF into a triangle, then twist it into a long, lean silhouette, like a headband. Center the scarf across the front of your hair, playing with placement until you’re happy with the amount of hair framing the face and the position of the scarf OVER the top layer of your hair (see photo). 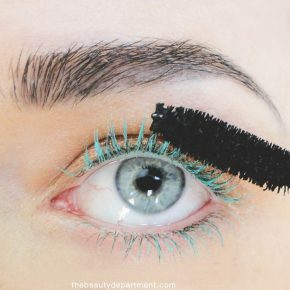 Tuck in the tip of the triangle in the front center that may peeking out. Tie into a knot at the nape of your neck. 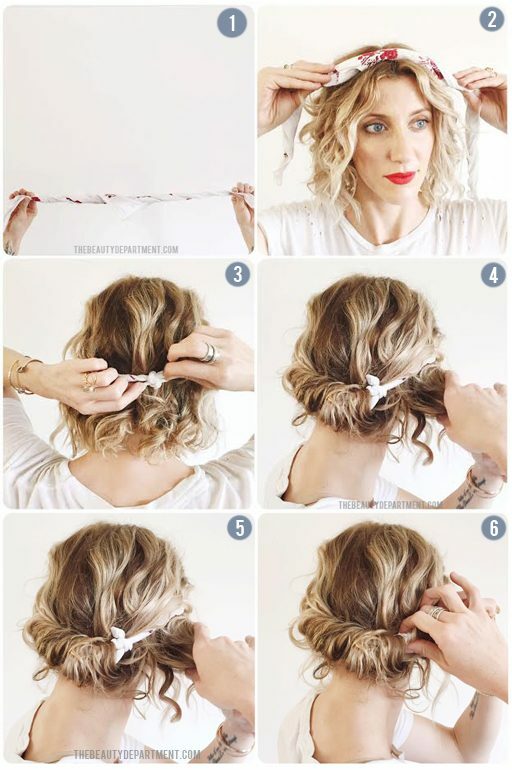 Begin wrapping the underneath hair from one side up and into the twisted scarf, tucking as you go. Continue tucking hair until you reach the other side. 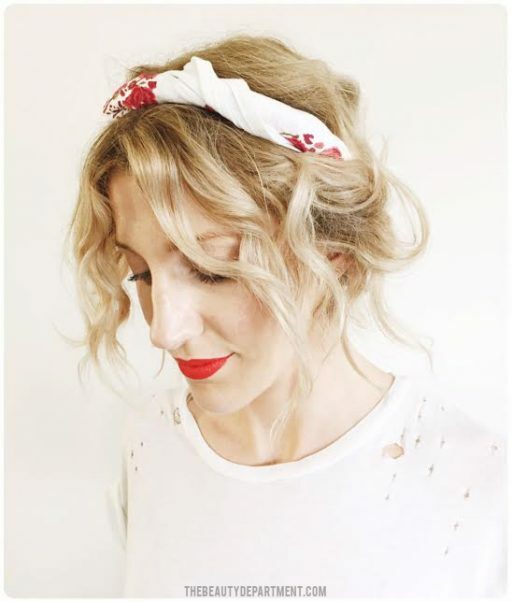 Now you can make any adjustments to the final look – we pulled out a few wayward curls here and there to enhance the free-spirited vibes of the style. The final look. Someone get this girl to a backyard BBQ, stat! 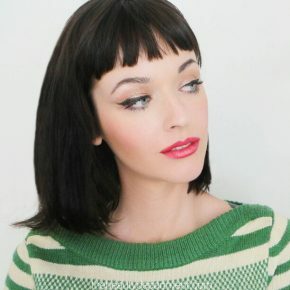 Our second look works great over soft FLAT IRON WAVES. Begin with your scarf. Here we used THIS ONE folded into a triangle. Lay the triangle on the top of your head, with the point of the triangle laying on your forehead, then wrap the two back corners around to the front and tie once, over the triangle (see photo). Tuck the tip of the triangle into the previously tied portion. Tie a final knot over the previous one. Then you can move the scarf around a little until you’re happy with the placement. Tuck in any corners that might be too square on the sides. The final look. This KWEEEEN is Palm Springs pool party ready! 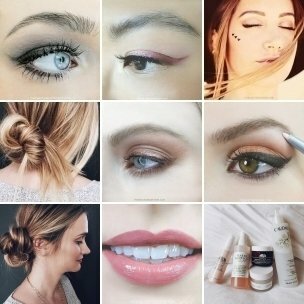 These are just two looks to get your creative energy flowing, but there are surely many more possibilities! 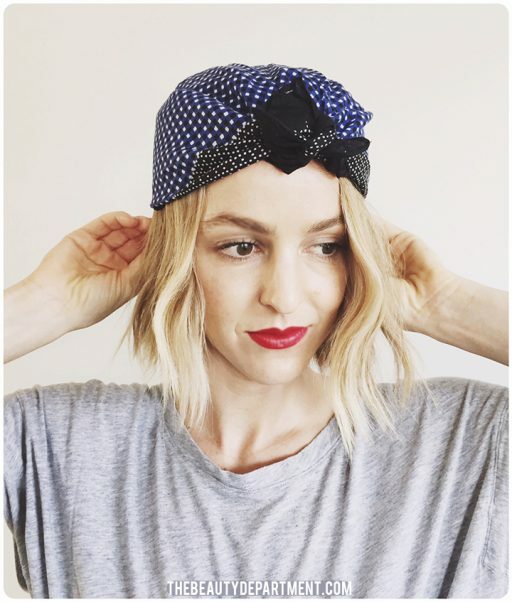 Don’t forget to tag us on INSTA @thebeautydept if you have a fun way t0 wear your fave scarf!